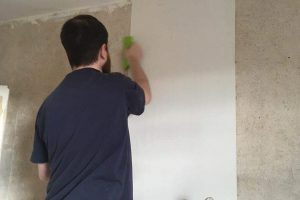 By the end of last week we had completed several tasks. The top bedroom has been completely wallpapered and painted and Michelle and Candy (our very willing volunteer who also happens to be Michelle’s dad) set about wallpapering the next bedroom and landing. He has proven to be a fine right hand man. We have also welcomed another volunteer into the fold. Ben is our Boy Friday and has been keen to get involved in all aspects of the project, much to our delight. Community Works have the next course starting on Monday 5th November for anyone aged 18-25 who may be interested in joining us in the madness. We are also happy to accept volunteers who would like to get involved – get in touch if you’d like more information. Happy Halloween from all the Futureworks team. 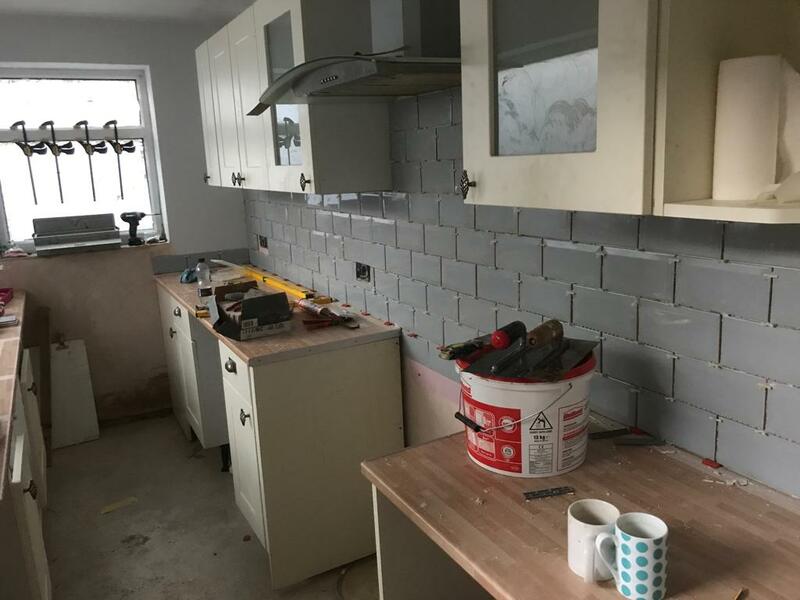 The fab news is – our kitchen has been fitted. 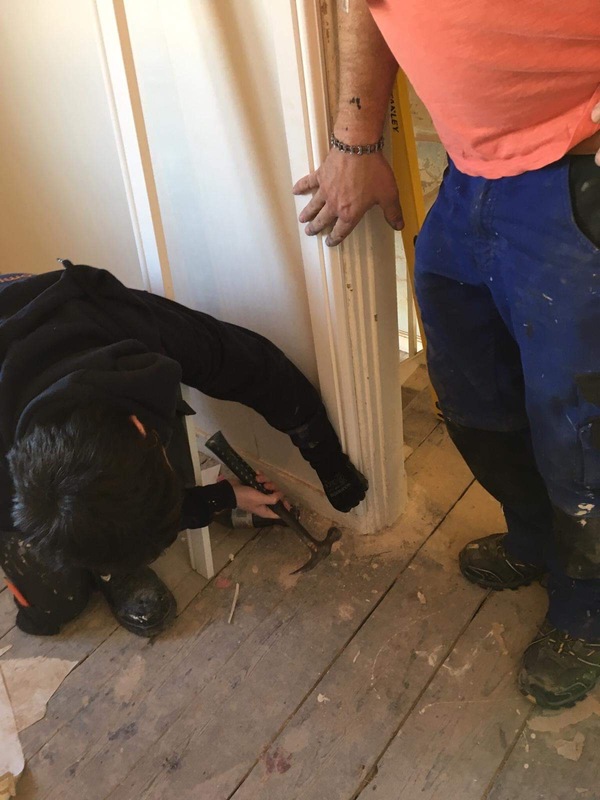 It was an excellent opportunity for Andy the Joiner to show Andy (our apprentice) the finer details of the work involved. 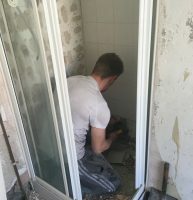 Michelle started lining the bedroom walls yesterday and Sarah has removed the shower cubicle and has been liaising with Jewson’s who have very kindly sold us the worktops at reduced cost. trades. The painting is starting on the exterior of the house today so let’s hope for dry weather!! 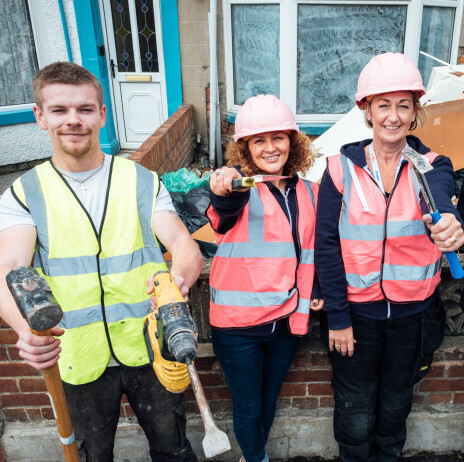 If our Project is inspiring you – our new Community Works 12 week Programme will be starting soon. 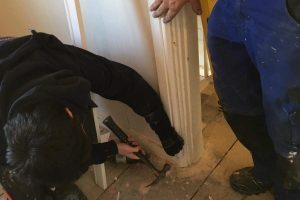 Aimed at 18-25 year olds, you will have the opportunity to learn skills in woodwork, wallpapering, furniture restoration, gardening and hands-on experience in our house renovation work. You will also gain a Level 1 Health and Safety and CSCS Training. 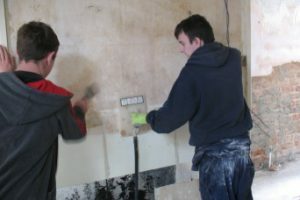 We also take on volunteers who can get get involved in a variety of practical tasks and gain valuable work experience. Don’t hesitate to get in touch if you would like more information. 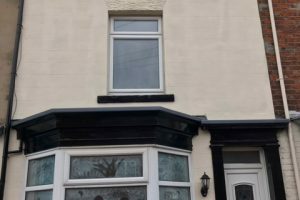 Here is our second blog entry – the house project is so busy that we really wanted to update you on the progress made. 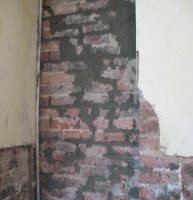 On Friday, the team were busy undertaking pointing work, knocking plaster off, removing polystyrene tiles and stripping the ceilings (a job made very difficult by resistant wallpaper that refused to budge…) The house is now being re-wired, thanks to John Burlinson and his team and the damp-proofing is due to commence shortly. Michelle has sourced a kitchen locally – we will be collecting it next week. This has helped the team to imagine what the kitchen will begin to look like. B&Q have very kindly donated materials to assist us with the Project – we are so grateful for their support. 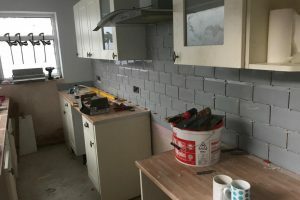 Every one is incredibly motivated and keen to see the house take shape – we will ensure the kettle is always on and the teabags are well stocked!! Welcome to our first blog entry. 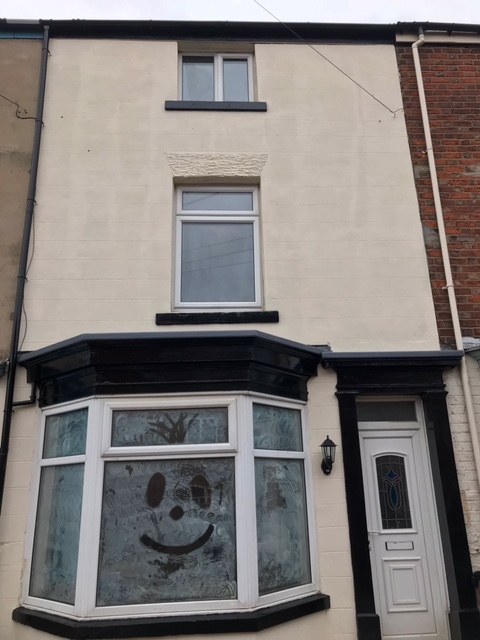 Futureworks have officially completed our first week as house renovators and what a productive week it’s been! 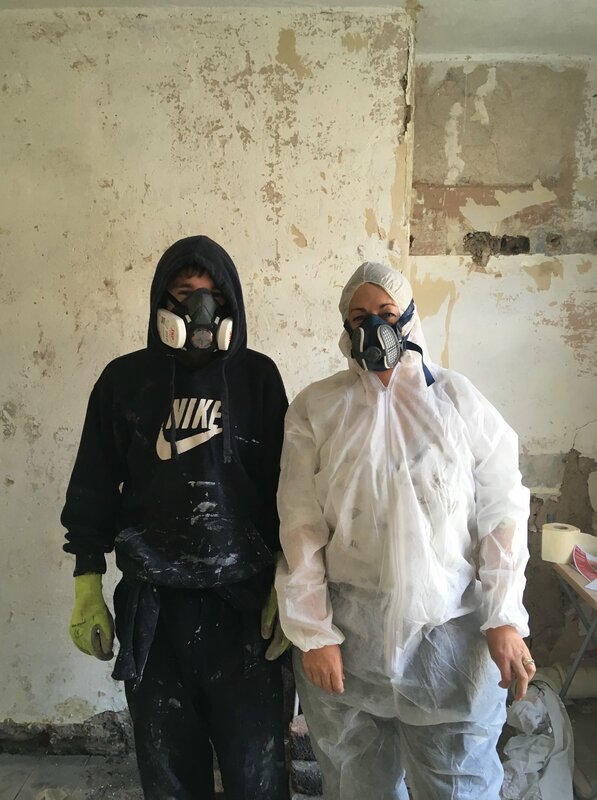 Thanks to the enthusiasm of our learners (along with Sarah and her new steel toe capped boots…) we have almost gutted the inside of the house ready for the damp proofing. 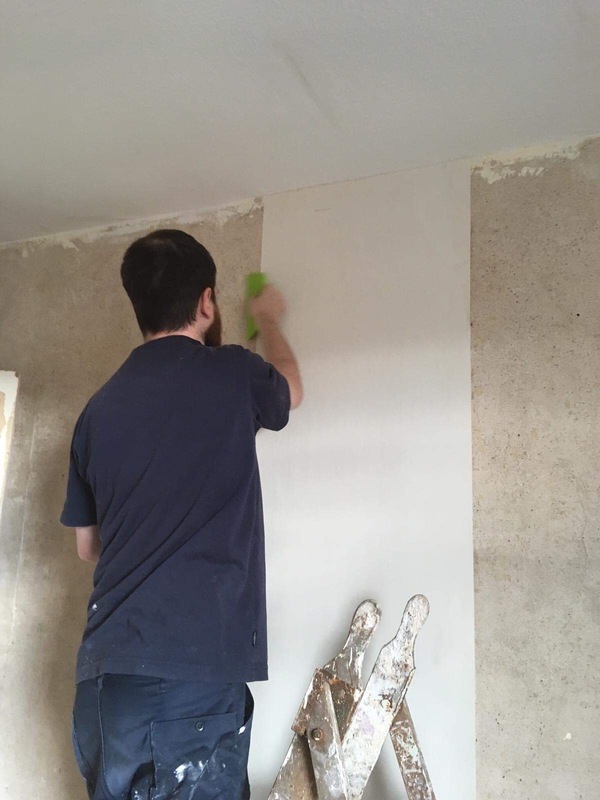 Wallpaper is currently being stripped off and, although flowered wallpaper could be classed as ‘vintage’, we’re much preferring the paper free walls.The old kitchen has been removed and taken to the tip, courtesy of Sarah and Michelle. The concrete is being dug up in the front yard and everyone is slowly but surely turning grey… (from the dust, not the hard labour). Micheal is well and truly ‘plastered’ and has the cuts and bruises to show he’s been busy. We can’t wait to share more photo’s with you as the work progresses.